Okay, so onto the project itself. When I originally started, this was going to be a fairly straightforward CIS -> EFI swapout. Probably even possible with the engine insitu. 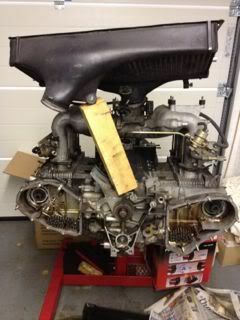 However, I decided to get everything out for a look/see, and determine if a top-end or full rebuild was necessary. As you can see above, I did all that. Ordered a leakdown tester that broke on first use (dial gauge won’t zero back down), the vendor looks to have gone out of business, and so I treated this as an omen. Full rebuild it is!! Never somebody to do things by halves, the engine had done 84k miles and although it dyno’d well enough, I thought it a good idea to work from a fresh and known platform….plus, it’s all part of the education and so far, very rewarding. To do a top-end was ok, but without inspecting the bottom end, it could be that in 30k miles time, I need to then do it all again for the bottom. So, again, it’s taken a number of weeks to tear the engine down – could have gone at it like a bull in a china shop, but wanted to be comfortable in my own mind that everything was inventorised. Oh, and did I mention the weeks of constant research, conversations and pondering? And the spreadsheet from hell? No? Okay…. Firstly, big thanks must go out to Chris “TurboKraft” Carroll….many a chat in the wee small hours (UK time) to cover off ideas, pros/cons, etc. Last week, I finally (Chris must be thinking…) got the kit I need ordered, which should arrive some time early Jan. Hopefully Chris will remember to pack in some Arizona weather for us poor sods in the UK! Jason @ Pelican has been great too, for the more run-of-the-mill shopping list for gasket kits, HW kits, sundry bolts and rebuild replacement items. He’s been very patient with a moving target list of requirements! My pal Steve @ SBD Motorsport – he’s doing the mapping work, and supplying the ECU/loom plus a few experimental bits he wants to try out on my car…nothing too radical but stuff the ECU can manage and would be a shame not to play with. Certainly between Chris and Steve, I know we’re going to get a superbly performing build. Last edited by Spenny_b; 03-08-2012 at 03:22 PM..
Now, we all know it’s a dangerous thing to eBay late at night. After a beer. I did, and found a pair of 964 cams….the only pair listed…..5 miles from where I live! Hah, another omen! They’d done 20k miles less than my 930 cams, so I went along and had a look; in short, they’re in great condition, so were bought. The chap selling is also a complete aircooled enthusiast, so a nice contact to have for the summer blasts out. 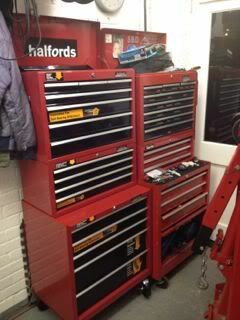 I also found that Halfords (nationwide chain of auto and bicycle retailers) also had very good deals going on their roller bearing tool chests...[cough]...erm....I treated myself to house the new tools! 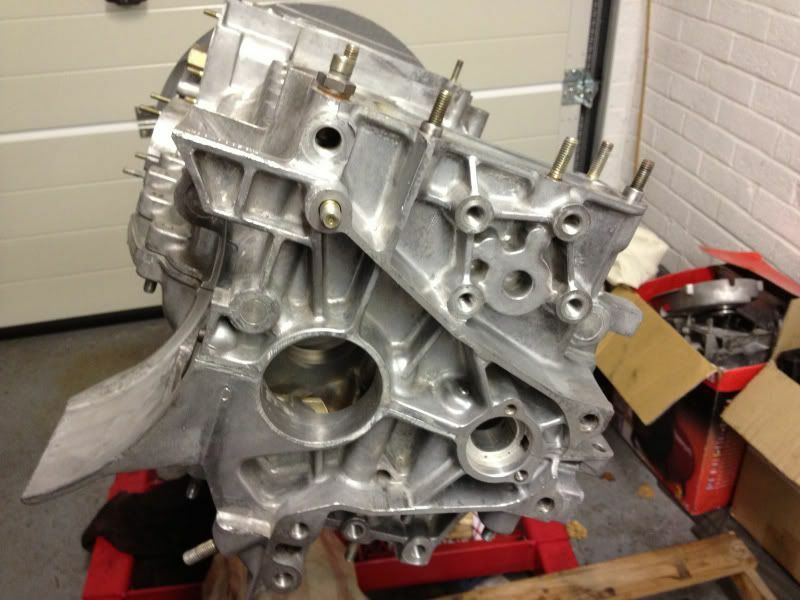 Another UK Pelicanite, Chris ("TheRevDay"), then contacted me out of the blue, offering me his Carrera intake manifold assy for a very reasonable price. You may have seen his unfortunate thread where his lovely 930 went up in flames on the side of the motorway? A really great guy, and feel completely gutted for him. He no longer needed it, as clearly his project has now changed. So, a midnight run back from Southampton, and I now had the genesis for a completely different project in my grubby mits!! Yeah, **thanks** Chris!! The next weekend continued with me mocking-up the intercooler position with the 930 intake vs the Carrera unit…blocks of wood and lots of measurements to ensure I would mount it in the same place. Whilst discussing with Chris Carroll, I did get nervous about rotating the throttle body, and then trying to get the linkage to work nicely. At this point I was erring on the side of retaining the 930 intake, using Chris's injector bodies and keeping the intake in the loft for a future “phase 2” project. RC was very keen for me to use it; he far prefers the free-er flowing design, but then he’s used to the big number bhp projects….then I chatted it through with Steve; one thing he wanted to play with is fly-by-wire throttle controlled by the MBE management….linkage problem potentially gone. 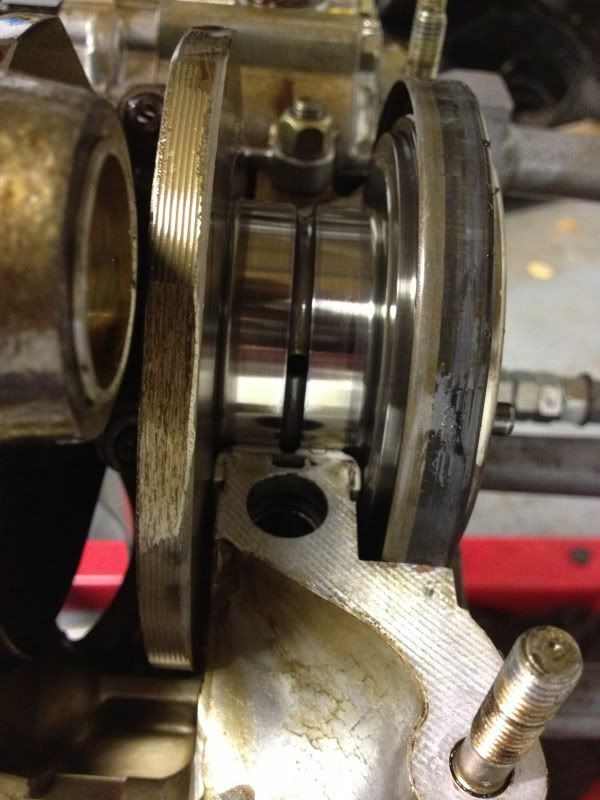 Another late night chat with Chris Carroll and a nugget of an idea – use a late 996 or 997 eThrottle housing. I sourced a secondhand 997 Carrera one from a UK based breakers for £100 incl carriage. You honestly can’t tell the unit from brand new; no yellowing or gunk, immaculate. Again, didn’t want to buy brand new for what is an experimental piece of work. The unit bolts directly to the Carrera intake, 70mm between mounting centres, although I’ll need to either machine the OD to fit in the intercooler outlet or fabricate something for a larger interface on the IC outlet (not by much I don’t think – not measured it yet). If the eThrottle doesn't work out, then it's not the end of the world. Swap out the eThrottle housing for the Carrera one, some fabrication of a linkage and possible re-use of the 3-wire idle control valve that came as part of the Carrera intake assy. Last edited by Spenny_b; 12-27-2011 at 01:32 PM.. Echoing what Tom “Odyssey” said many times in his 2010 thread, Chris C has been nothing other than completely honest – there’s no doubt that he did himself out of business with some of the recommendations, but the upshot of that is that it’s free’d up money from buying “X” to then spend on “Y”….so, despite me potentially having the offer of a free Garrett GT35R from a friend, I’ve opted to buy a new unit from Chris that will be exactly what I need from the get go, not to mess around modifying the secondhand one. The “free” one was a 0.70 A/R, which works well on the Mk4 Supra its currently fitted to, due to the boost those guys are running (1.6 and 1.8bar in my friends case, dyno’d last week at 728fw bhp), but not ideal for us aircooled guys running relatively low revs and boost pressures. It also didn’t have a divided tubine inlet, so by the time all that’s replaced, it completely makes sense to buy a new one that’s fit for purpose. Also on the shopping list from TK is an RS/Cup single mass flywheel and new clutch; this has the 60-2 tooth funtion we need for crank position timing. Didn’t want to try and interpolate timing using the existing DM FW’s fewer indexing marks, that would contradict everything I’m looking to achieve w.r.t. accuracy. The >20lbs weight saving is not to be sniffed at either! A cam position sender (also hall effect) will be used in conjunction with the new HE crank sensor. A pair of Tial wastegates for the divided input on the GT35R are also being suplied by Chris – this will allow me to of course get rid of the stock WG (save weight) but crucially allow me to now remove the LHS exhaust valve cover; I couldn’t do this before with the H&S system, as the WG input pipe didn’t allow the cover to clear the studs, so the whole exh system had to be removed before valve gaps can be checked…a complete PITA and something I’ll encounter at the first valve gap check/adjunstment in 1000 miles time. A Tial diverter (dump) valve is going to be used – seems easier to accommodate one larger unit than 2 x OE valves. ARP headstuds and rod bolts are being fitted, along with RSR rocker seals (the rocker shafts have been leaking, it appears). A TK cylinder head temp mount/sensor will be mounted at the back of #3. Finally, we’re going to have 2 dials in the cabin, one for variable boost settings, the other for traction control. Once this is catered for, by default we’ll be able to enable launch control, although I’m not planning on using this unless I get persuaded to do a ¼ mile run somewhere. It’s a great function for the hillclimb and sprint community, and of course the rally/race guys, but will take it’s toll on the drivetrain, so won’t use it for traffic light GP’s! We may try and get the function built into the MBE management to be able to control boost delivery based upon selected gears, eg, perhaps only permitting 0.4bar boost in 1st gear, maybe 0.6bar in 2nd, and so on. Potentially a nice feature to protect drivetrains. 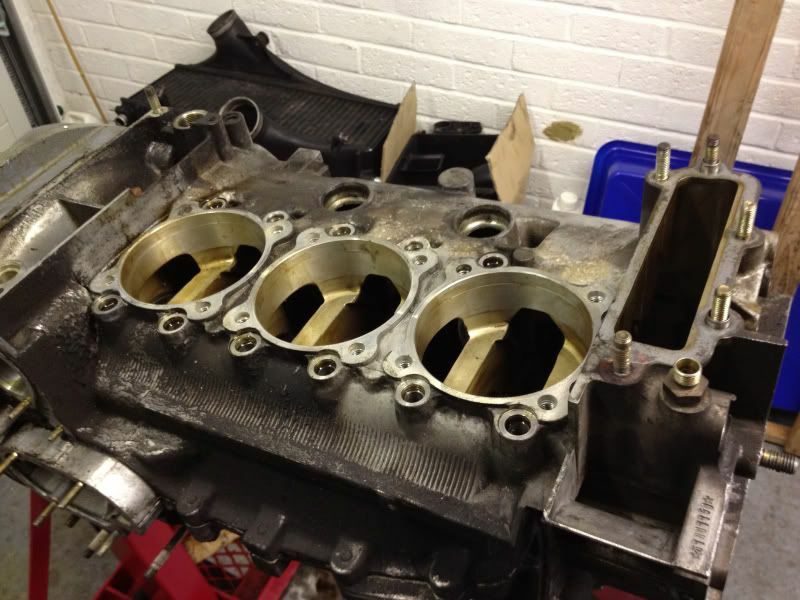 Now onto the heads; this work will involve opening the inlets and matching them to the intake manifold. 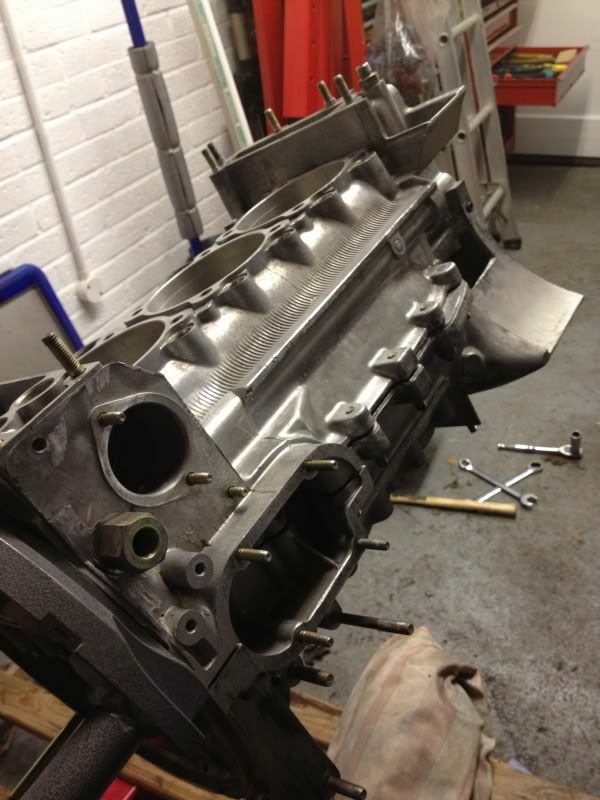 Depending on the tightness of fit, Richard @ CTR Developments will probably dowel the intake as well. 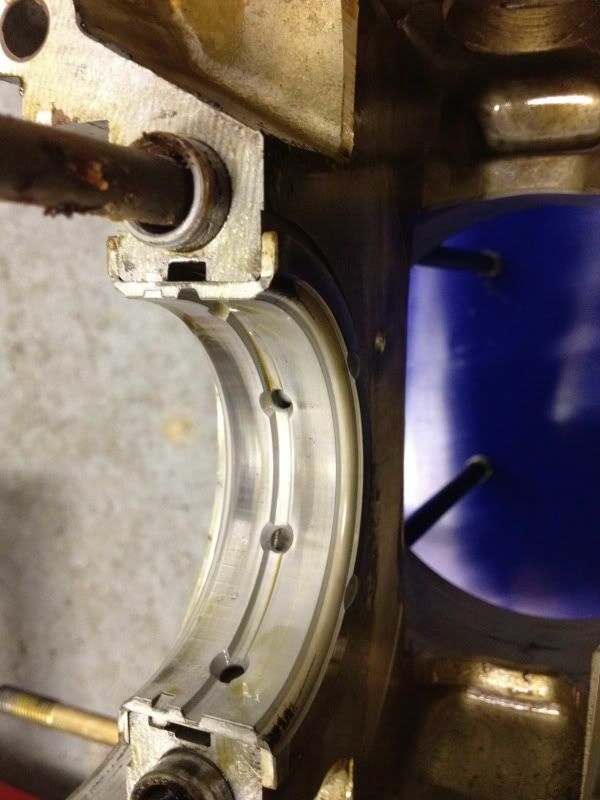 We’re “going native” on the intake port diameters rather than using adapters. Per Chris’s advice, bigger just seems to work better on these engines. After much deliberation, and seeing the consequences of a dropped valve in an engine Richard’s working on for another Pelicanite, I dare not replace the valves….of course, nothing can cater for pure bad luck, but if I do everything I can to mitigate it, then…..
Richard will be looking after the head build for me; upon closer inspection, it’s clear that the valves have not been running concentrically relative to the valve seats; there’s an uneven tell-tale on the seats. The seat edges on the valves themselves are also slightly concave, basically it reinforced my thoughts to replace all valves. The inlets stems are nice and tight still, the exhaust valves do have a small amount of play but nothing that you wouldn’t expect after 84k miles. Interestingly, the very first valve retainer he picked up that I had removed, he found what looked to be either the start of a crack in the same place they always go, or a manufacturing defect – whatever, to my and his eyes, this wasn’t a good thing (not that I was going to reuse old retainers, but I had contemplated whether new stock pressed steel items were “good enough”). No point in magnafluxing to investigate, they’re bin fodder anyhow. I may well have had a lucky escape. 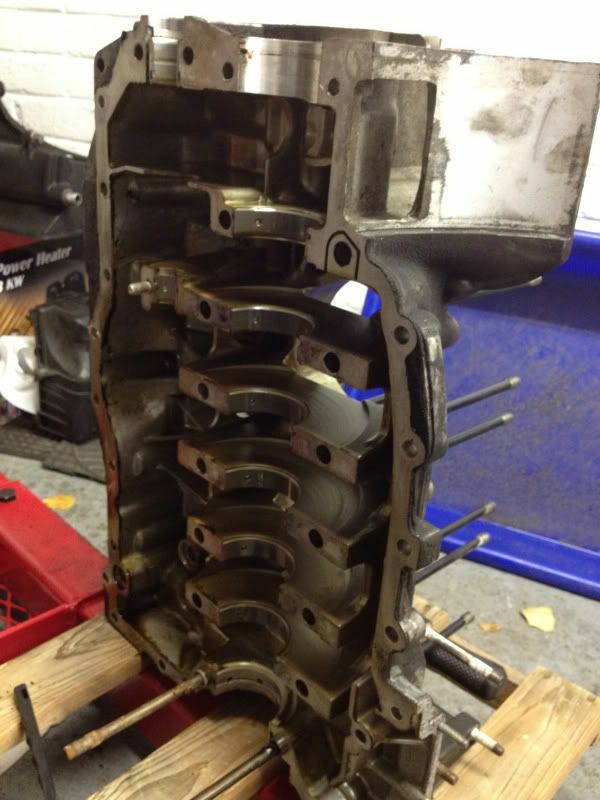 Unfortunately (for my wallet) “while-we’re-at-it-itis” has struck….Could I have sourced all the head parts independently and built up the heads once Richard had machined them and replaced the valve guides? Yeah, of course….but I feel far happier offloading that piece of work to him, where everything he does and uses is a known quantity, proven on the race track many many times over and crucially it all works together. Again, I kinda feel it’s all within the spirit of not bleeding information from folk then going elsewhere to buy it; it would be a bit “2-fingered” to source my own bits when I’m asking Richard to look after the head work. 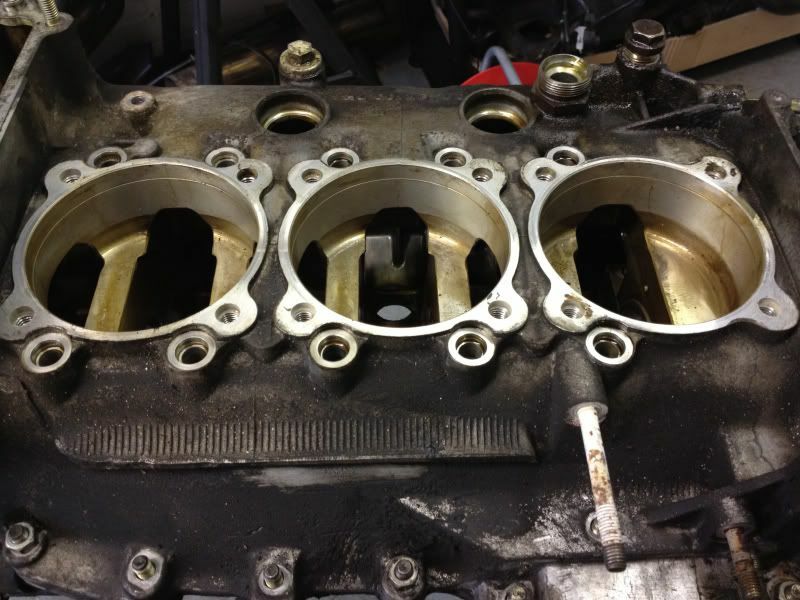 •	Intake ports opened to approx 41.5mm & matched to the intake manifold. 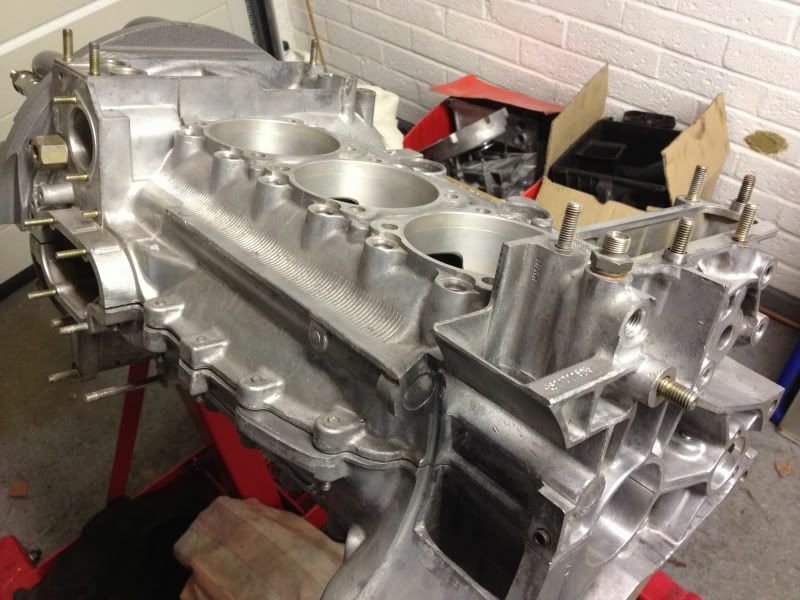 •	Head>Cylinders re-faced and levelled to ensure flatness for cam carrier/cam. Of course, there’s no such thing as a guarantee with engine building, but this seems to be the closest I can reasonably get to a known, proven and well put together set of heads….for my abilities/experience at least! Surprisingly, the Schrick items don’t work out that much more expensive than buying new stock OE hardware from my local Porsche dealer. The cylinders all measured up great using a very nice (and presumably expensive!) set of Mitutoyo bore gauges and digital Mitutoyo micrometer, at my mate Steves place. 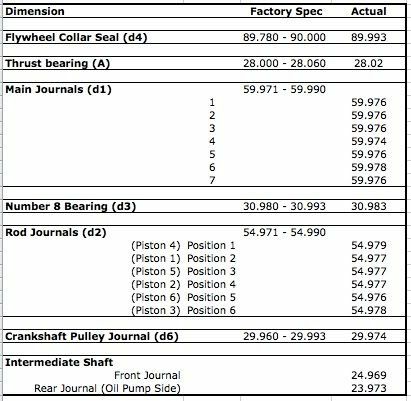 Waynes book states Factory specs of 97.0mm +0.1mm tolerance. I haven’t got as far as transcribing my scribbled findings down into a spreadsheet yet, but the largest dimension we saw was (iirc) 97.023mm across one of the axis (I measured both at the bottom just above lowest ring witness mark, and 30mm from the top, in X and Y axis)…so good news, no cheque to Mr Mahle just yet! Last edited by Spenny_b; 03-08-2012 at 03:27 PM.. 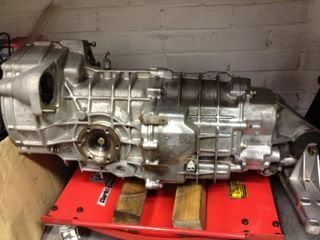 The next step for me, once back from holiday, is to crack open the crank case. I seem to have been talking about this for weeks – Christmas shopping and work commitments all conspiring against me. The advice I’ve been given is to separate the halves before attempting the head stud removal, as it’s far easier to get the ally castings sufficiently hot when you haven’t got 2 of them heat sinking for each other, plus all the internals like crank and intermediate shaft assy also dispersing the heat. This is just a terrific thread, and it keeps getting better. Very clear and entertaining, a damn good read. Glad you're working with Chris. He's a major talent and a veritable fountain of 930 knowledge. Wish I had your guts and brains when it comes to wrenching (or should I say "spannering"?) Best of luck! Cheers Tom, Vas, glad you're enjoying the read. Tom - I don't know about the brains/guts compliment (but thank you) - misplaced bravery a lot of the time!! Hoping that in the fullness of time, those that also choose to undertake such conversions can search out this thread in the future and benefit from the odd bit of information here-and-there, as I've done on so many other threads here....Tom, I think I've "virtually" worn out your thread with the virtual thumbing back and forth, scavenging for photos. That's what I'm finding really rewarding; in the beginning reading your Odyssey thread just left me reeling, often thinking "Oh my God!! "....everything was new, nothing was familiar, head was spinning. Now, when I read, re-read, re-re-read all the bookmarked threads, Waynes book, Bruce Andersons bible, etc, stuff makes a lot more sense, to the point where I can now feel far more familiar and confident with what I'm doing.....I can even dip a toe into the Engine Rebuilding forum and identify random engine parts!! BTW....it's sad when your vacation reading list includes A.Graham Bells "Forced Induction Performance Tuning" ...anorak on, zip fully zipped-up. Well, if it makes you feel any better, I am half way around the world doing the same. Ahhh, now I need to open a beer. Got back home on Saturday, having pondered the head stud removal the whole time I was away! Went straight into the garage to start the case separation. 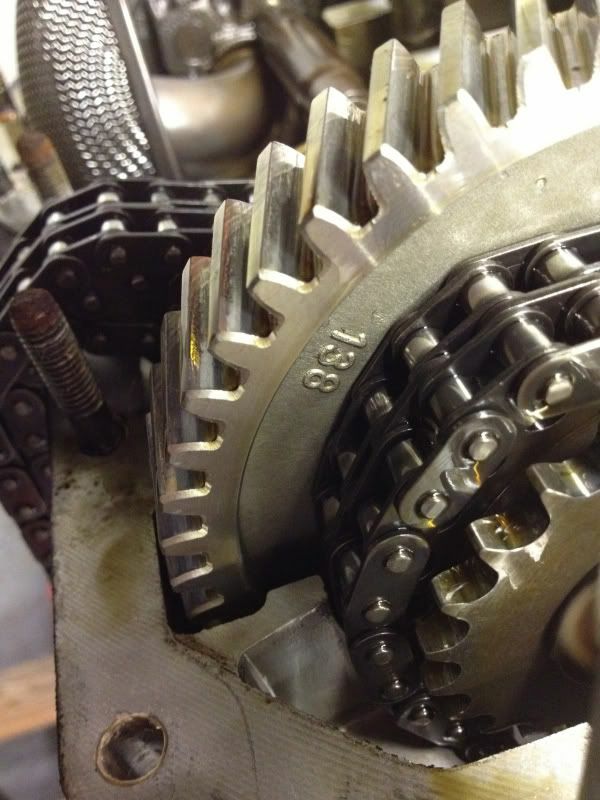 Managed not to fall foul of the hidden nut inside the timing chain housing (thanks for the reminder Chris!). The case came apart relatively simply - prob no more than 5-10 mins of gentle tapping with the hide/copper "persuader". 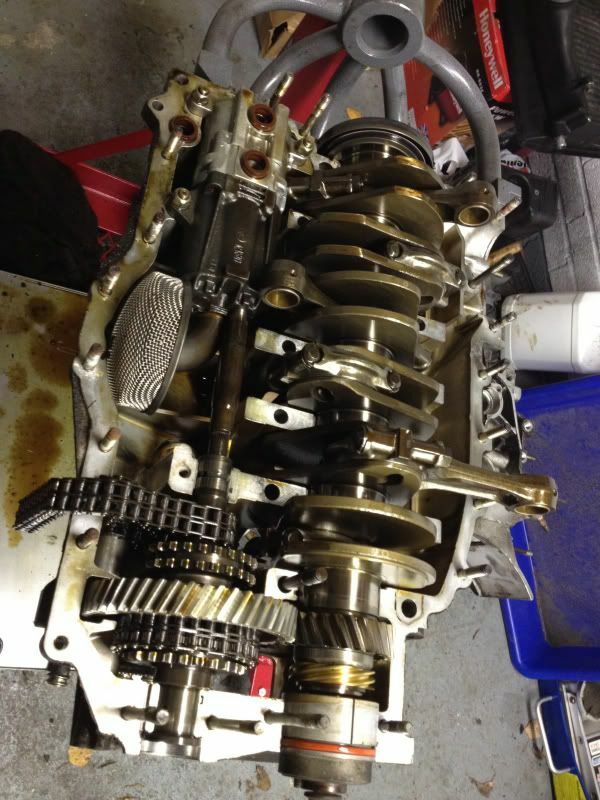 A short while later, the crank, intermediate shaft and oil pump were out and on the bench. Dug around in the washer box, found 8 steel plain washers, used them evenly around the perimeter of the RH case and placed the LH half back in place...now separated by about 1mm and absent of any internals, the heat sink issue should be greatly reduced. I'd hoped to find some fibre washers to isolate the heat even more, but not many hardware stores open in this sleepy little town on New Years eve @ 11pm! Gently nipped up the case halves to secure. At this point, whilst all going rather well, decided to come back afresh in the morning to have a go at removing the head studs, conscious that once you start heating the case, you don't want to break off and lose that heat. I'm going to do a separate writeup on my experience of this, in the Engine forum, simply for those guys in the future that want to search for another method; I hadn't seen this method before, but definitely worked out well for me. So, having briefly had a quick attempt to remove a head stud before the Xmas break, whilst the case was full together and full of crank etc, I'd applied heat with my butane torch, probably for 5mins....but this was nowhere near enough. Predictably, I tried my newly borrowed stud extractor on one of them and got huge amounts of torsional twisting. At this point, I decided to put everything down, go wrap some presents and enjoy Christmas with my daughter, folks and brother. Now, with the case separated, gutted and re-assembled with an air gap, armed with 3 large cans of butane (!! ), fresh from a holiday and good nights kip, I was fighting-fit, lol! This time, I gave it about 10mins of gentle heat, all around the stud housing but mainly in the spigot ID. When I tried to remove one from #2 cylinder, my heart sank when I saw the shank twisting, assuming it was just more torsional twist. Then I noticed that it felt smooth in movement...."hang on....this bugger's turning properly....ooh, wait....it's only coming out!!!!...wa-hey!!" I cannot tell you the relief and jubilation!!! Hmm, 1 down, 23 to go. Anyways, they all did come out and no snappages...I even got into a bit of a rhythm, but was very careful not to try and get cocky and shortcut anything....plenty of time, plenty of heat and lots of patience. And a cup of tea between the two case halves. The air gap between the case halves worked perfectly; by the time I got the the 10/11/12th stud, the case was very warm indeed (as was the removal tool), certainly too hot to touch comfortably without gloves....the bottom case half was still cold...not warm or even cool, but cold. Bingo. As you can see, the case halves were filthy. Waynes book talks about spending at least 3-4 hours cleaning them...I tell you, I spent about 4 hours just doing a preliminary clean in my paraffin tray, getting the gunge off. I then took them up to my mate Steves place and spent another 6-7 hours cleaning them in his parts washer tank. 11 hours!! Very pleased I did though, they're now looking very nice (will take some pics tomorrow and upload). The internals weren't caked in cruddy scorched oil, just a light golden colour staining. 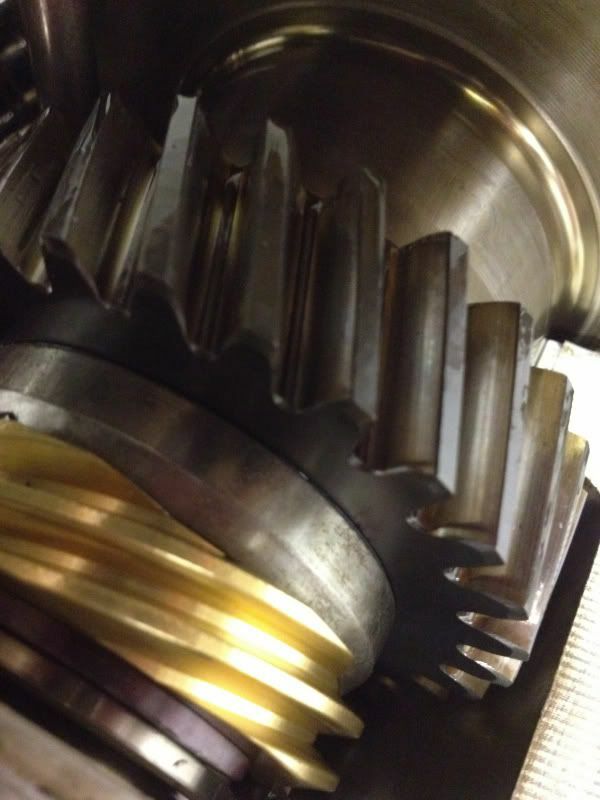 Is that wear on the large timing gear, or just a reflection? 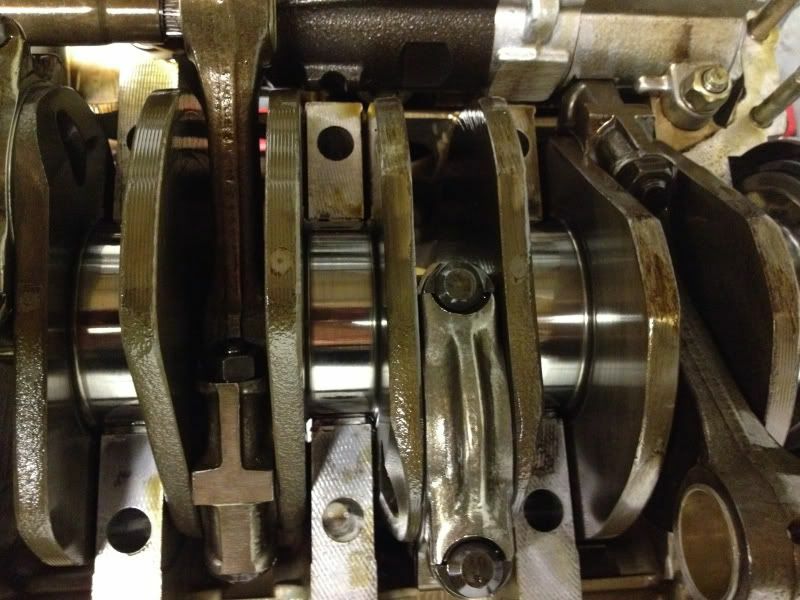 Crankshaft is all cleaned up, as well as the rods, through bolts and the camshaft that I still have (the other one's away being modified to drive the oil scavenge pump). I decided not to strip down the oil pump; looking carefully at the teeth through the inlet/outlet holes, they look in great shape too, so have left "well alone". What I did do, was to run the hose in the cleaning tank into the oil inlet hole and leave it flowing fluid for an hour or so to dissolve and flush through any sludge. All's well and now just waiting for the rebuild kit to be delivered...which according to USPS tracking service, looks like it's now cleared UK Customs, so possibly tomorrow! Update: Chris - Have had another look at the inter shaft drive assy this evening; nope that was definitely a reflection (assuming you're referring to the aluminium timing gear?) The only slight marking, and again, it's nothing discernible to the fingernail, more a witness mark, are those diagonal marks you can see, and even they more or less polished out when I got some rag and brake cleaner on it. Ah hell...just watching the Wildcard Weekend....having said to Chris Carroll that I was no Stealers fan (Dolphins), it kind of made sense to support them through the playoffs as my daughter was born on Super Bowl Sunday in 2006 where the Stealers won....oh well, they won't be repeating it again this year! This amount of swarf was present on all 4 flutes....Is this "usual" for factory castings? I cleaned up one of the old dilavar studs (only with a wire brush and a pick, not by running a die down it) and screwed it in; there was a little wobble from the newly cleaned out thread and could be run all the way in using only fingers. Trying the same stud in a non-clean hole, it was definitely tight, and could only screw in a few turns by hand. I measured the tap using a micrometer; max 10.08mm about 2/3rds the way up. What do the collective think? 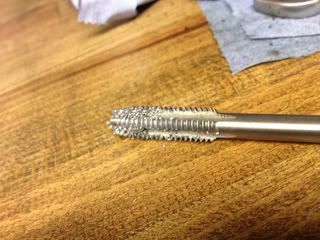 Clean all head stud threads, which I'd ideally like to do? There are thread cutting taps, and there are thread chasing taps. You need the latter. 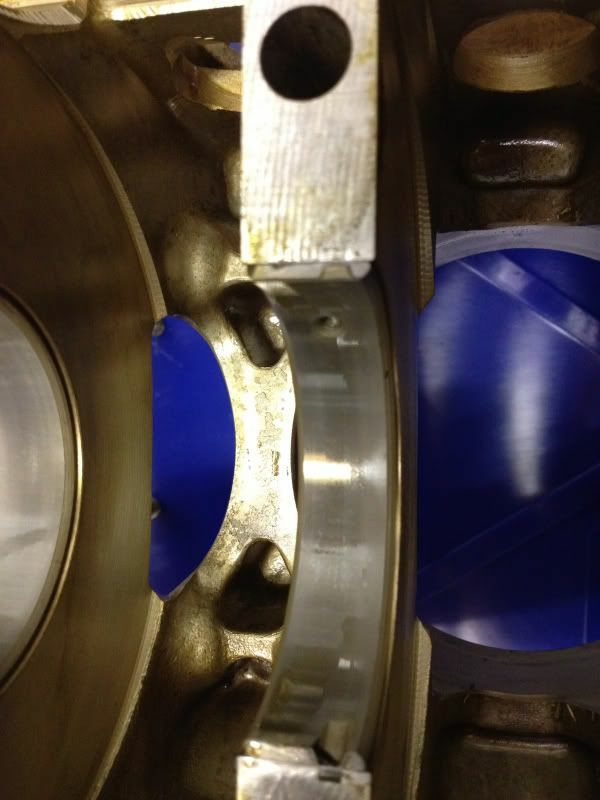 Cutting threads can remove more material, while chasing taps (with a liberal amount of fluid) do not remove additional material. Cleaning the head studs' threads with a wire wheel is advisable. Thanks Chris, have to confess I wasn't aware of only a chasing tap, only the 3 x "stock" taps; first/second and final (or bottoming) tap. Do you reckon if I were to Dremel a flute into one of the old Dilavar studs, that would be ok? Glad I didn't do the whole lot last night with the tap I have....do you reckon the one that is done will be ok? For what it's worth, when the stud is screwed down, even finger tight, to the bottom, it's rock-solid tight.